With the results of the latest poll conducted by ESPN on who is America’s favorite professional athlete, there is even more evidence to Tim Tebow’s popularity and wide appeal. The poll has been conducted monthly for 18 years and has only had 11 pro athletes hold the number spot. Other names include LeBron James, Tiger Woods, and Michael Jordan. 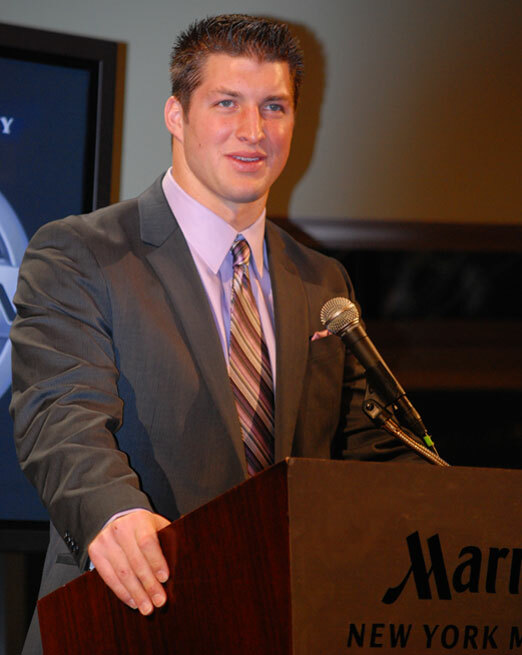 Tebow is followed by Kobe Bryant, Aaron Rodgers, Peyton Manning, and Tom Brady in the most recent poll. In addition, Tebow is the quickest to rise to the position. The next in line is Tiger Woods, who was in the professional ranks for three years before being number one. It has taken Tebow less than two seasons. Tebow is loved for simply being who he is. His positivity and good behavior, as well as his effort to improve his on-field performance, make him a great role model that parents point to when raising their children. And it does not hurt at all that Tim Tebow is a proven winner. While his technique and ability have been questioned, his ability to rise under pressure and succeed when it matters most makes him a winner. In a society of fallen heroes, Tim Tebow is the new role model for children and adults to look up to.